Why I never went to cosmetology school. Today I was scrolling through facebook like any other day. I came across a article about being a natural haired model during fashion week. In the article it was brought up how most stylist have no knowledge of Afro textured hair. It reminded me of one of the reasons why I never went to cosmetology school. Back in the day when I was in high school I was always interested in hair. I hated perms and I wanted to explore how to style my hair with out straightening it. I would wear breads most of the time but when my hair was out I was always trying to put it in different styles. 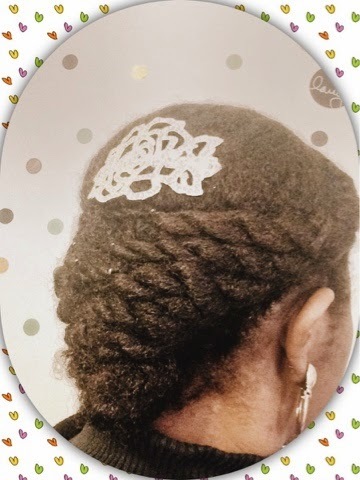 I bought books and DVDS on how to twist and braid hair. And I was always at the store getting braids magazines. Fast forward to college after a few semesters I went natural for the 3rd time and I started styling my own hair. It wasn’t long before friends and family started asking me to style their hair. I soon realized that I had a special talent. I can look at pictures of hair styles and duplicate them. I was also able too come up with my own style creations. So dispite my parents disapproval I started researching cosmetology schools. When I thought of learning about hair I thought I would learn about every hair type. Unfortunately to my dismay when ever I inquired about learning to care for Afro textured hair while touring schools I was told that is not taught. One of the things that frustrated me the most is I would come into these schools and see a majority of African American women. The instructors and directors would be African American. Yet no one had a desire to learn how to do natural hair. They learn how to perm, cut, wash, and dye hair but not how to care for it in its natural state. They had no knowledge of what products work best on african American hair especially in its natural state. In a nutshell all the curriculum was based off of a European hair standard. I put my school hunt on hold, but continued to wash and style many of my friends hair. It wasn’t until my best friend had reneged on paying me for the third time that I decided to take up my search again to find a all incompasing hair school. The way my friend explained it was why should I have to pay you for doing my hair you’re not a licensed stylist. Even though she hurt my feelings by stating that it was the kick in the pants I needed to get a certificate. So I started my research again to find a school that taught the study of all hair types. The way I saw it if I am not taught in cearing for natural hair I shouldn’t be making a living on it certificate or no. I could be stunting someone’s hair health because I’m not completely knowledgeable in its care. This is also a reason why I don’t trust most hair stylist. When ever I go to a stylist they don’t even have a basic knowledge of how my hair functions. They always want to straighten my hair to braid it or do a simple twist-out. I’m always told these styles can not be achieved with out the hair being straight. Then I inform them I do this to my hair every week in its natural state, and they act as if I’m lying. If they were taught about natural hair they would know its capabilities. So I did a little digging. I decided to go to one of the more prominent cosmetology school to get my hair dyed, and ask the students question. When I fist entered the facility I could see I made everyone nervous. I explained that I wanted my hair dyed and everyone kept assuming that I wanted a perm. They left me sitting for quite some time as they all talked and tried to determine what to do. More then four students came to me at different times to ask me if I wanted a perm. This happened so much I became paranoid that some one might try to give me a light perm or a texturizer without my knowledge. When a stylist finally started on my head I had to talk her through the process a little. I had to explain that if you comb my hair start at the ends and work your way up to the root. It’s easier to comb when wet or with some product in it. I had to explain that since my hair is very dense ( AKA Thick ) she may have to use more dye or leave it in longer under the dryer. The back of my hair takes a lot longer to dye so it always looks darker than the front. All of this took a lot of proding on my part because she kept falling back on her training and combing wrong and hurting me while yanking out hair. She didn’t even know how to twit and when I showed her she was amazed it stayed with out a hair tye or added extensions. All of this should have been covered in her instructions which she was almost finished with. After that little field trip. I decided to go to a natural hair meet up where I knew a popular natural hair stylist was speaking. I wanted to ask her where she went to school so I could go there. I was convinced there must be a school that teaches about natural hair that I must not have Heard of. After the demonstration I approached the stylist to ask her where she got her cosmetology license. After she told me I asked did they instruct her on how to do natural hair? She said no of course, so then I asked where can I learn how to care for natural hair? She told me that there is no cosmetology school that teachers about natural african American hair. She explained to me that she went to cosmetology school and learned how to care for hair but not for Afro textured hair. She told me when It comes to natural hair she was self taught from other naturals and being natural herself. She has a salon that specializes in natural hair but she has no certification in natural hair. I told here I wanted to go to cosmetology school but I wanted to specialize in Natural hair. What she told me to do was get certified then learn all I can about natural hair from on line, and word of mouth. That way I could do hair professionaly because I have certification and then specialize in natural hair on my own. This news really frustrated me. It angered me that african Americans natural hair texture is ignored by the schools. I pretty much got discouraged and gave up doing others hair all together. I know some changes will have to come. The natural hair community is growing. Stylist will have to expand their knowledge to stay in business. When the curriculum changes I’m sure there will be a lot of stylist interested in learning how to care for natural hair. To often when I do go to get my hair done I feel as if the stylist is embarrassed she does not know what to do with my hair. I imagine she feels unprepared. If you truly love hair you would naturally want to be able to grow and care for all types. You would want to have all the knowledge that you can about your field.